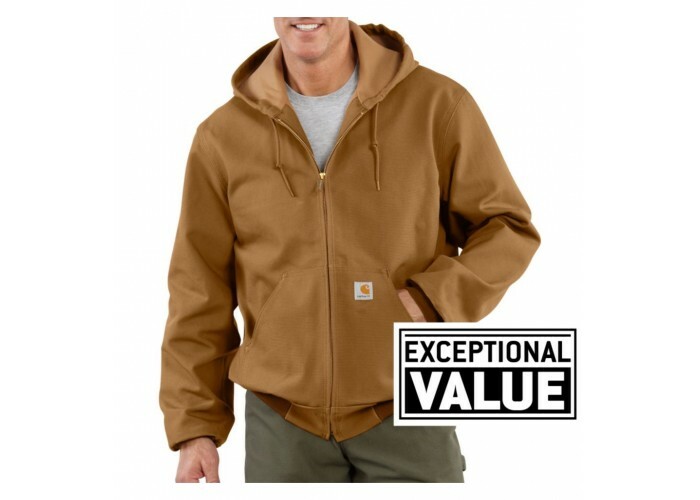 Made in the USA, our duck active jac is built with 12-ounce, firm-hand, 100% ring-spun cotton duck with a 100% polyester thermal lining for on-the-job warmth. 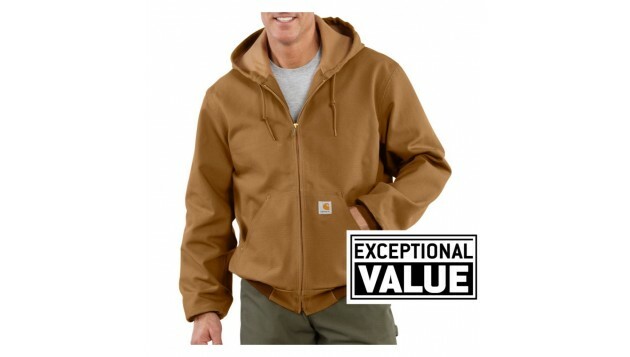 It includes a thermal-lined hood, and its rib-knit cuffs and waist work to keep out the cold. The jacket also includes two large hand-warmer pockets and two convenient inside pockets. Main seams are triple-stitched.